Youth at Martin First United Methodist Church work to raise more than $5,000 for East Congo parsonage. Youth at Martin First UMC show us all how it’s done! There is still time to raise $87,500 to build parsonage in East Congo. Wow! The youth at Martin First United Methodist Church know how to respond to a challenge. My request at the 2013 Memphis and Tennessee Annual Conferences in early June was for an additional $250 contribution per church to help us meet the Nashville Episcopal Area goal of $87,500 to build a parsonage (home and office) for the Methodist bishop of the East Congo Episcopal Area in Africa. It seems youth delegates from Martin First UMC in the Dyersburg District were paying attention. Their youth pastor, Rev. Rebecca Alexander, reported to me this week that they raised more than $5,000 for this project! Want to know how they did it? Alexander said the youth delegates heard me speak at Annual Conference in Collierville and then returned to Martin with “passion and conviction” to do their part … and more! “(Martin First UMC) youth chose to raise $5,000 – not only the $250 for our church, but also $250 for 19 other small congregations that might not have the means to give,” said Alexander. 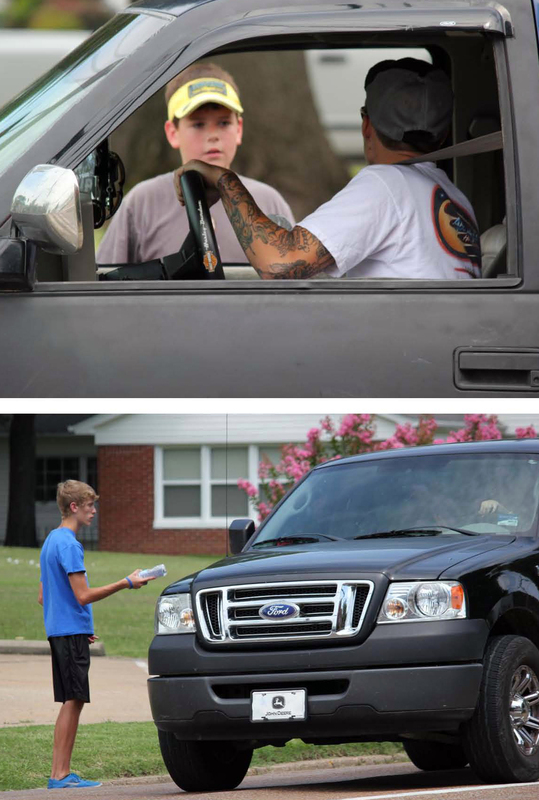 In a span of 72 hours, the youth sold baked goods, washed cars and gave out bottled water for donations. They promoted their events via social media and on a local radio station. They even knocked on doors. I am so proud of these youth. I want to thank them on behalf of Bishop Gabriel Unda Yemba whose East Congo Episcopal Area in Africa so desperately needs this parsonage to continue to make disciples of Jesus Christ for the transformation of the world. As I’ve shared before, the East Congo Area includes three conferences, 17 districts and more than 349,000 members. By comparison, the Nashville Area is two conferences, 14 districts and 201,000 members. This $87,500 is obtainable. Unfortunately, as of July 31, our collective total is just $47,000. That’s an approximate figure based on money received and more gifts we know are on the way. The youth of Martin First UMC have set a stellar example of hard work and devotion to a most worthy cause. I appreciate them and all who have made and will make contributions. The Memphis and Tennessee Conferences have each been operating with different deadlines on this initiative, but today I want to announce we are extending the deadline for more donations through Sept. 15. Please, if you have not contributed so far OR if you are able to make an additional gift, read below how you may do so in your conference (online or by mail). By Mail: Make out checks to “TN Conference UMC” with “East Congo Episcopal Area” in the memo line. Mail to Tennessee Conference Treasurer, 304 South Perimeter Park Drive, Suite 6, Nashville, TN, 37211. By Mail: Make out checks to “Memphis Conference Treasurer” with “East Congo Parsonage” in the memo line. Mail to Treasurer’s Office, Memphis Conference-United Methodist Church, 24 Corporate Blvd., Jackson, TN 38305. Churches should use line 50 of the remittance form. Personal checks should include church name to receive Advance Special credit. I am so proud of these youth and Becca Alexander for all of their hard work. They truly set an example for us all. so very proud of Becca and the youth of the church. What a wonderful thing they did to help build a parsonage in Africa. I am proud of the youth at Martin FUMC for settling for nothing less than Excellence in their personal and collective response to Bishop McAlilly’s request.